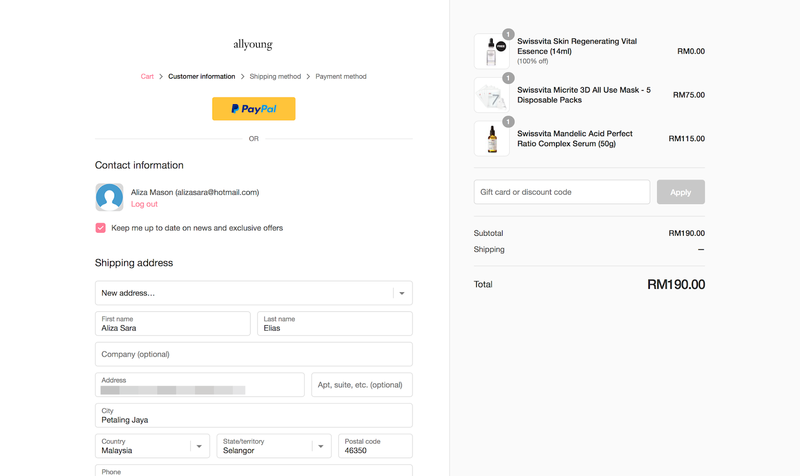 In case you haven't heard, I happen to find myself on the Allyoung International Website when I wanted to purchase more Swissvita Products! YAY! Previously I had to do my shopping via FB PM, but with the new website, it makes the whole shopping experience more convenient and fast. 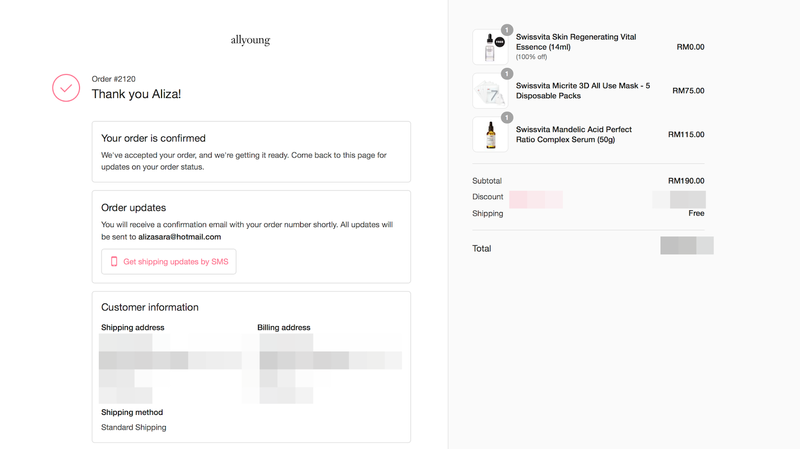 What honestly got me hooked on the site was that they were giving out a free Swissvita Regenerating Vital Essence worth RM345 with no minimum spend. Which also means, with whatever purchase I made, I got the essence for free! Not to miss out on this deal, I quickly took action and put the things that I wanted in my cart. I created an account signing in via FB, which was really quick and started shopping. Wondering what I got? 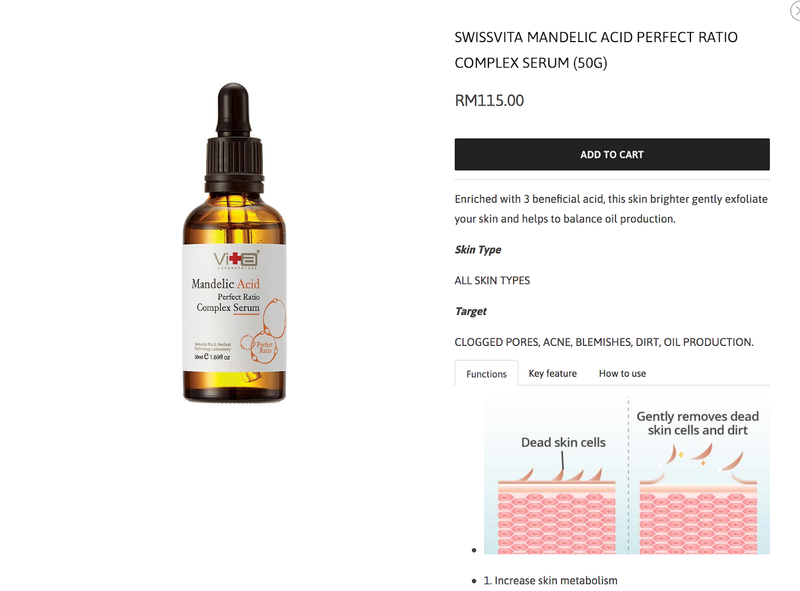 I basically got myself two products which were the Swissvita Mandelic Acid Perfect Ratio Complex Serum and the Swissvita Micrite 3D All Use Mask. It was actually a bonus that the Swissvita Regenerating Vital Essence was automatically added to my cart. 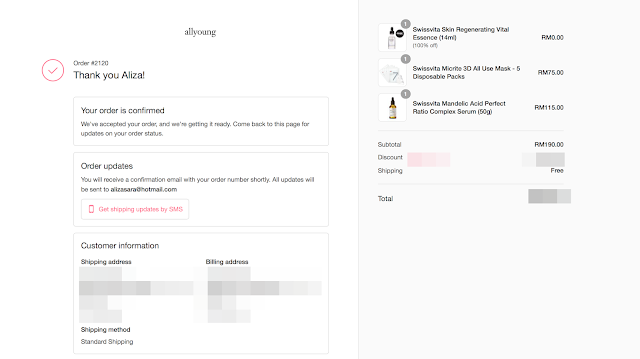 Without any hesitation, I clicked the checkout button which leads me to the checkout page. Got a PM through facebook as well! The checkout page was pretty direct actually, despite signing in, since I haven't filled my details in yet, I was required to fill in my shipping address. 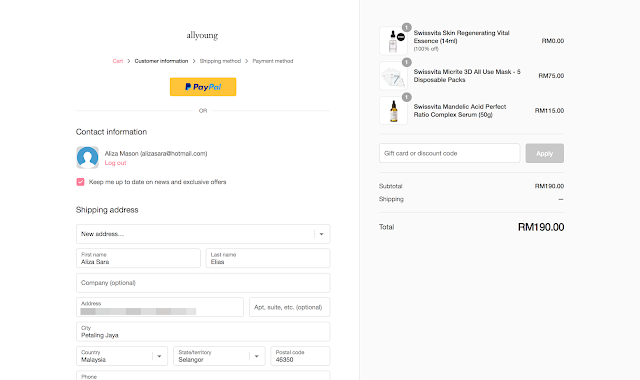 And as you can see, on the right side of the website, you'll see a summary of whats in my cart and the total amount that I need to pay. You can pay using PayPal or molpay as an option, so it's pretty easy to just get the transaction done online. Once you have completed your order, I was pretty surprised that I got a notification from Allyoung through facebook messenger other than my email. 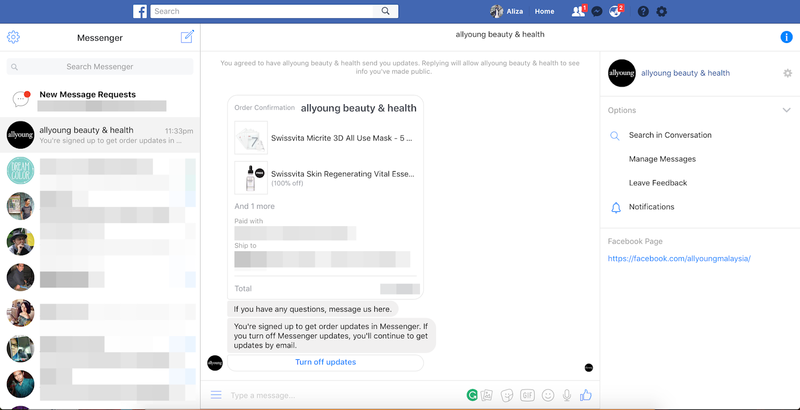 First time experiencing receiving a complete order notification through FB since I logged in through FB to sign up for an account. Hehe. And after about 2 days, my parcel reached to me safely! I love companies who work fast to ship the items purchased online, where I can scratch out the thought of worrying about the parcel. I mean, I ordered some items online and it took them over a week to arrive! Gotta give my compliments to Allyoung for the fast delivery. Also, you would realize that the items I ordered came in a box. YAY! Rest assured, you won't have to worry about the items you ordered being damaged. So since you already know what I bought, im gonna give you a brief review of the products that I got, starting off with the Swissvita Micrite 3D All Use Mask. 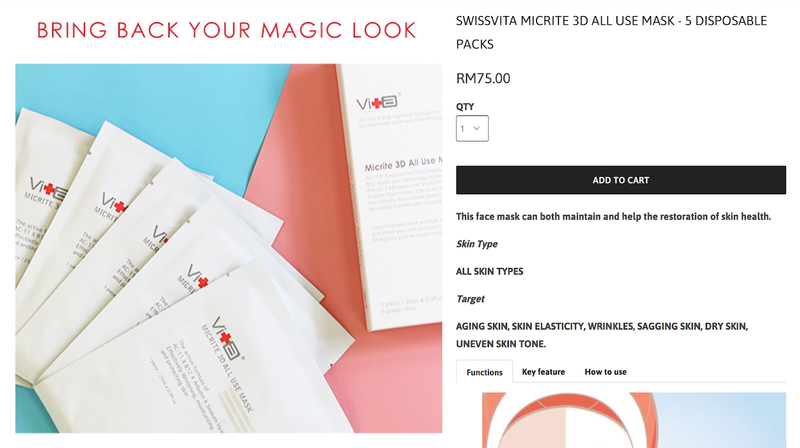 The mask was something I needed to pamper my skin on days that it looks tired, and the Swissvita Micrite 3D All Use Mask looks like the perfect solution! Its suitable for all skin types and the mask claims to maintain and help the restoration of the skin. It also claims to target aging skin, improves skin elasticity, reduce wrinkles and sagging skin, improved dry skin and evens the skin tone. Im practically sold and got a box of the mask which contains 5 pieces. The packaging is pretty minimalist, which gives this clinical feeling when I look at the product. I liked the fact the box is sealed which gives me the confidence that the product is unopened. The mask comes in individual sheets, but what impressed me more was that the mask had like 3 layers when I took it out of the pack. As much as I wished it had 3 layers, the 3 layers actually control the hygiene and to emphasize on the easy application experience. The mask is very thin using Botanical Fiber Mask which helps to instantly replenish moisture into the skin and leaves the skin with a radiant finish. Wore it for about 15 minutes and my skin was feeling refreshed! Definitely looking forward to wearing the mask again. The next product I got was the Swissvita Mandelic Acid Perfect Ration Complex Serum. This has to be the highlight of my purchase because it was one of the reasons why I somehow located myself on the Allyoung website. The Serum is enriched with 3 beneficial ingredients that gently exfoliates the skin while giving brighter skin and controlled oil balance as a result. Being a person with combination skin, I hope this would help me with my oily skin problems. The serum is suitable for all skin types and targets to solve clogged pores, acne, blemishes, dirt and oil production. As I was unboxing the product, the serum comes in a very clinical like glass bottle with a dropper as the cover. I kinda like how the serum looks, to be honest, and im convinced that it would give my skin the perfect ratio. With the dropper, it's very easy to control the amount that you want to use. The box has no exact instructions on how to use it, but I personally use this after toner, and before moisturizing. It feels very light on the skin and I did notice that it made my skin feel so much healthier. Also, it has this very cool feeling when its absorbed by the skin. Loving this so much! And last but not least would be the Swissvita Skin Regeneration Vital Essence which game in as a complimentary gift! Im not going to unbox this in this post yet because im planning to use this once my serum runs out. The Swissvita Skin Regeneration Vital Essence claims to restore your supply and bouncy skin. With the retail price at RM345, im pretty sure this is the closest to a youth elixir. Hehe. Can't wait to try this out, or if you have tried this out, please let me know how good this is! I literally have no regrets! As a verdict, im actually satisfied with the products I purchased which compliment my current skincare routine pretty well. And as for the website, I actually love browsing through it. They offer other products as well like brands from Ellie Skincare, AEVÉOP, CITY COLOUR and SUDDENBE, but as of now, imma stick with my fav Swissvita products first. Hehe. 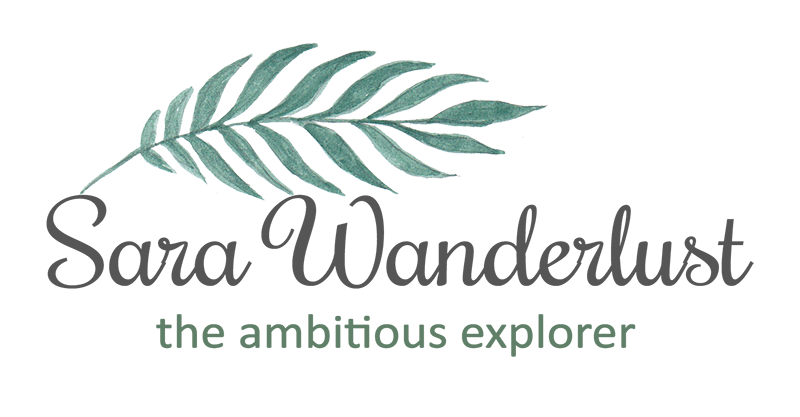 Overall, I would have to say that I will definitely repurchase from the website again to restock my beauty products AND, a little birdy told me that there's a Pre-Raya special sale happening on site, so be sure not to miss out! Hehe.